Spring is fast approaching, though the weather in Ottawa begs to differ. It has been absolutely freezing here this past week and for the first time in forever, all five of the Great Lakes have frozen. Anyways, ever since last year, I've been obsessed with the light pastel and floral designs. Wanting to attempt the nail art for quite a while, I finally have. First thing to note is that I have a horrible habit of chewing on my fingers, which I've been trying to break for a while, so my hands are in no way able to model for this. 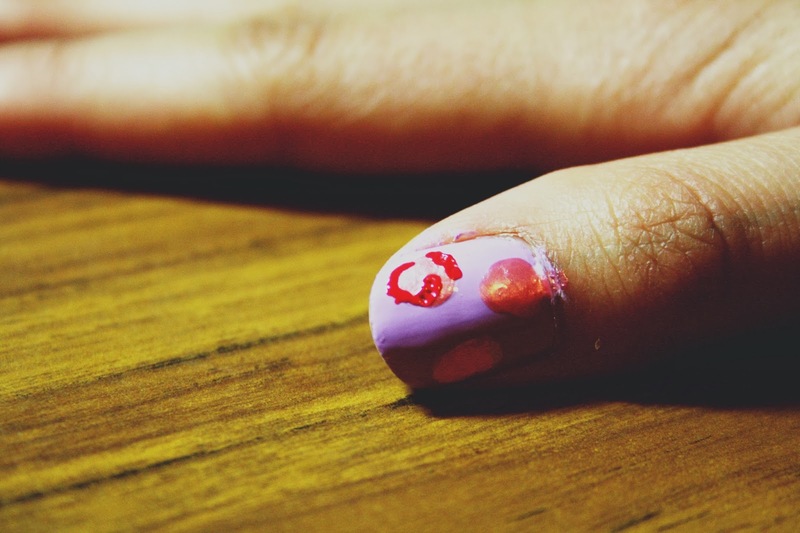 Instead, I always find myself having fun while painting my older sister, Connie's nails. Therefore, she gets credits for being the amazing hand model. Now let's move on to the tutorial! 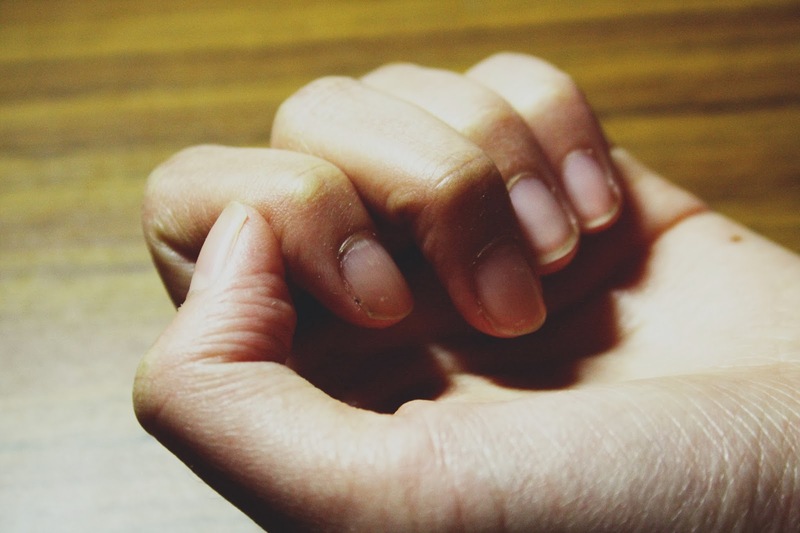 The first thing you need is bare nails. 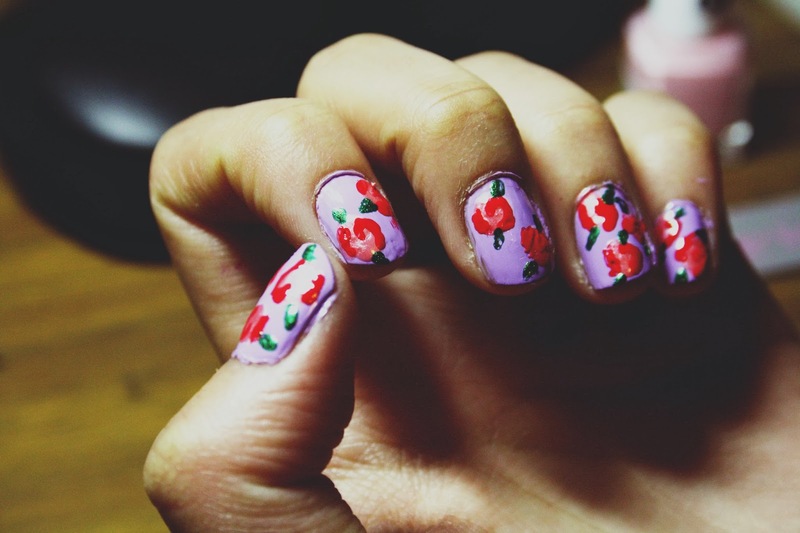 If you have any left over nail polish on your nails, make sure you remove them before starting with this design. Another thing you may want to do is to cut your nails if they're getting a little long. And being me, I always forget to moisturize my hands, so while you're paying some attention to your hands, you might as well do that as well.... 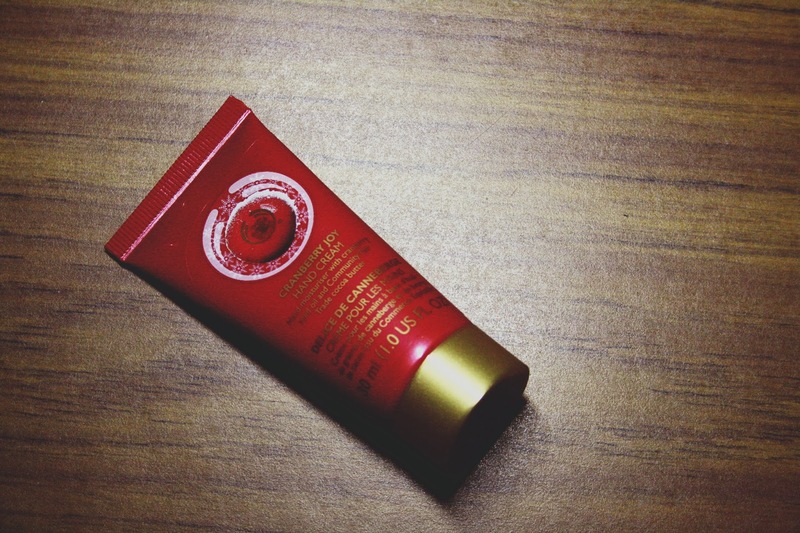 Lately, I've been using the Body Shop Cranberry Joy Hand Cream I received on my birthday. My friends and I have all been obsessed with this product all winter. In terms of nail polishes and tools, here's what you'll need. Personally, I chose the OPI Royal Flush Blush NL VO8. In this, I'm using the Sally Hansen Sonic Bloom 260. This is actually another perfect name for the spring time! I chose to use Rimmel's Camouflage 830. Yes, a pencil. 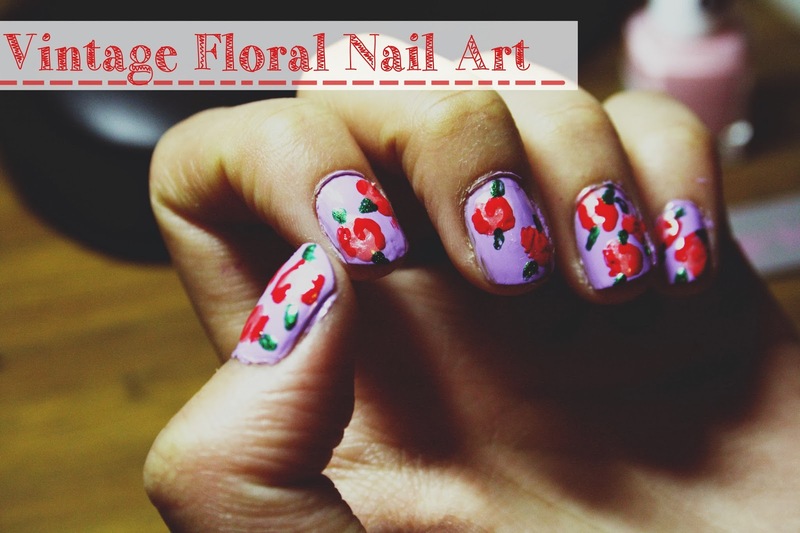 If you have other tools such as a dotting tool and a thin paintbrush, you might want to use those as well. For me, a dollar store pencil is the most convenient since the tip and eraser can be used for both of these techniques. 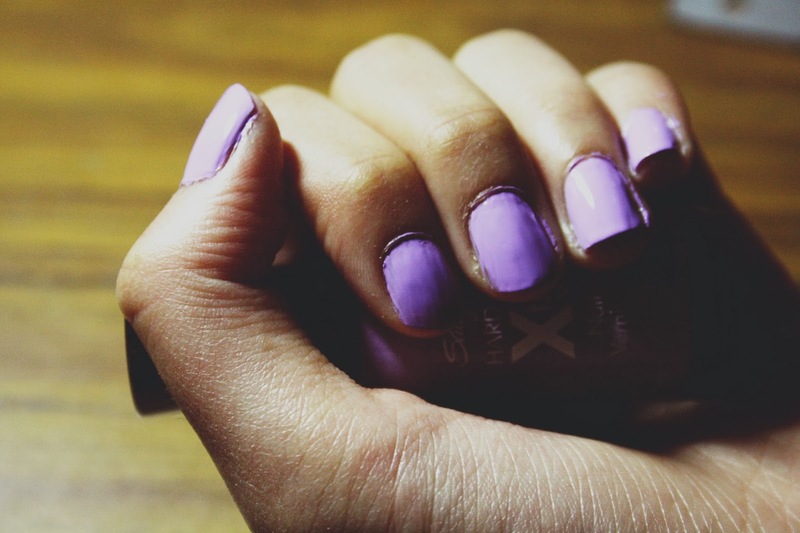 Start off by painting your nails in the pastel shade that you have chosen. 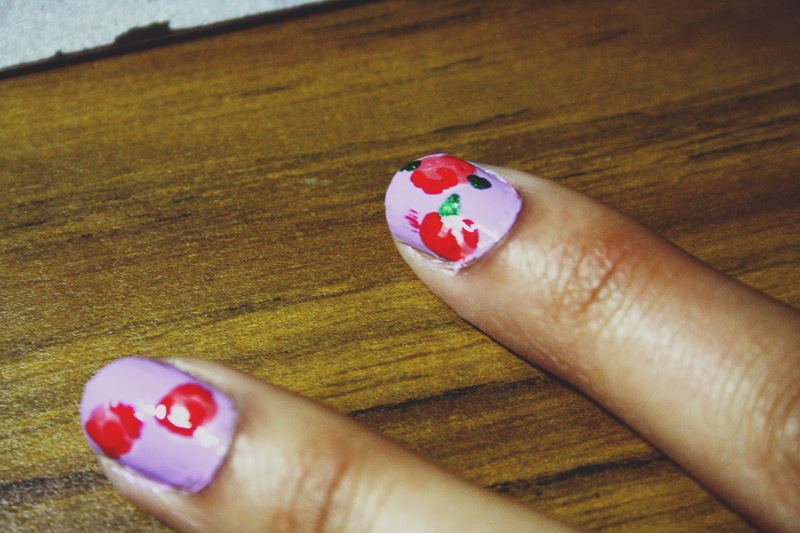 I used two coats since this nail polish is getting kind of old, but choose to do whatever suits you! Next, (shame on me for forgetting to take photos of this step) using your light pink polish and dotting tool, dot two or three medium sized dots onto each nail. 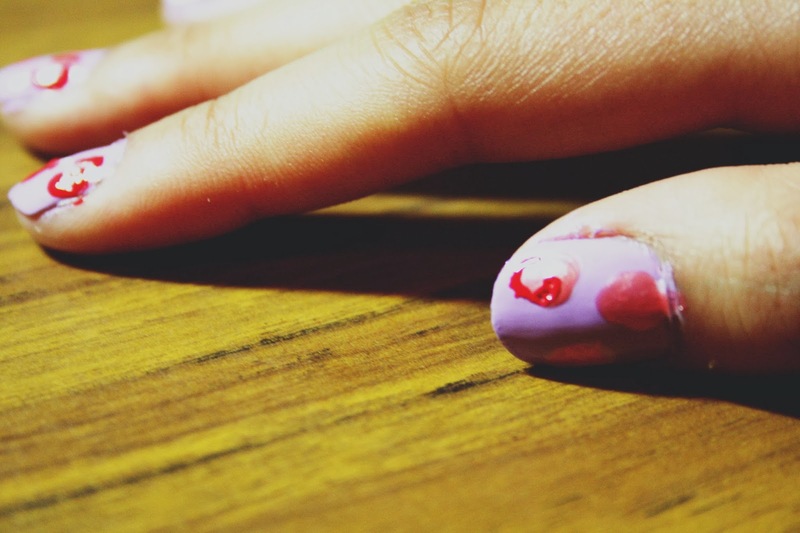 Now you will need your dark pink polish and the tip of your pencil. Starting from the center of the dot, draw a small swirl outwards and border about one third of the dot. On the opposite side of what you have already bordered, add another short border, but do not connect it with the line you have already created. Now, clean off the tip of your pencil with a small strip of tissue. Then dip it into your dark green polish. Create a thin line sticking out from a section of your 'flower' which has a gap in the border. The next strip you paint will be across the flower. Love this design. Really beautiful, wish I was talented like that. I seriously wish i had the time or even skill to do stuff like that, yet my job means rummaging around in vintage stuff so they'd be chipped within an hour knowing my luck.